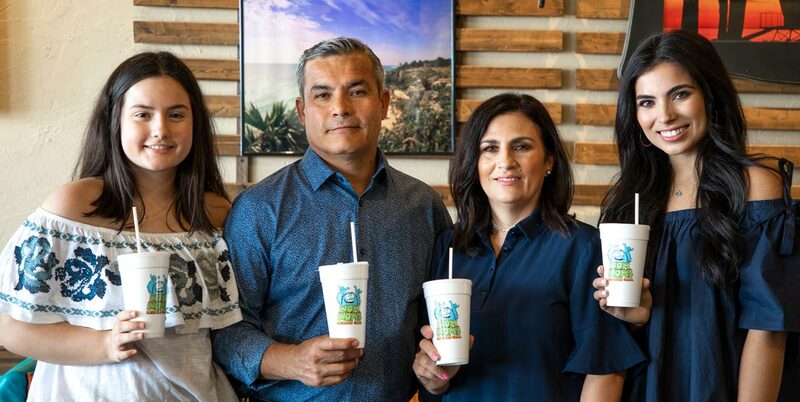 Nom Noms started off the way Trinidad (Trino) and Maria Barragan tend to start off businesses – with an opportunity and a passion. Trino had learned the art of Mexican ice cream in his hometown, Michoacan, and had always dreamt of a place where families could enjoy amazing homemade ice cream. He saw the opportunity, and the two made it a reality. In June of 2010, they opened the first location “Nom Noms Nieves” (Nom Noms Ice cream) in Hot Springs, AR. The summer was wildly successful, but Maria knew Nom Noms could be even better. She decided to add her and her mom’s (Abue) delicious Mexican recipes to the restaurant, and from then on Nom Noms Mexican Grill was born. Nom Noms quickly became the number one restaurant in Hot Springs, and in 2014, they were ready for a change. Maria and Trino decided to move to the beautiful, BIG state of Texas. They immediately felt home and felt it was the home for Nom Noms. McKinney is Texas’ first and home location of Nom Noms, and has since then grown to Plano, TX (2017) and Frisco, TX (2018). Nom Noms is truly a family restaurant to its core with every family member working and involved down to Abue’s great-grandchildren. Family is a passion to the Barragan’s, and an environment that they want every customer to feel when they walk in the door. The food is made the way Abue and Maria make it at home; Never frozen, never reheated, never packaged. It’s always fresh, always made from scratch with the best quality ingredients. Trino makes the ice cream with only the freshest ingredients, seven days a week. That’s the real way, and Nom Noms always keeps it real.